Someday I hope these two come to me as teenagers or twenty-somethings and complain about some cheap European hostel they stayed in while backpacking around. 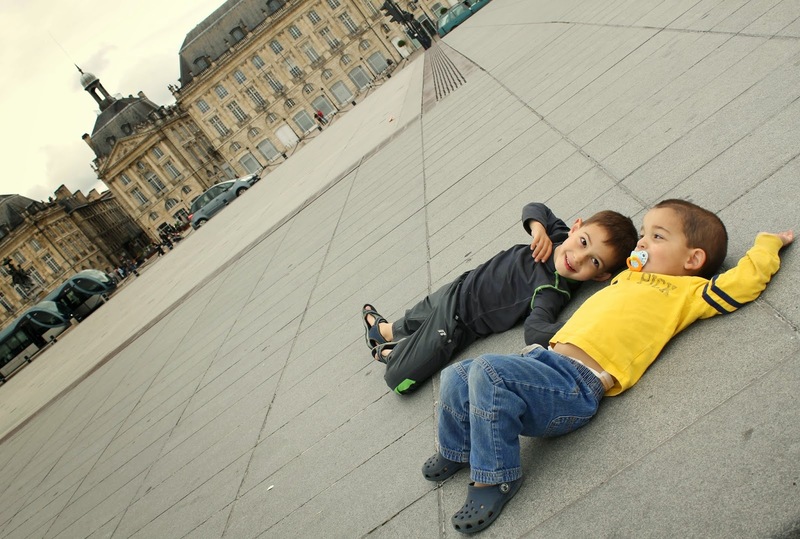 Because I'm going to show them this photo and remind them that they once tried to convince me to let them nap on the ground in the middle of the Place de la Bourse, one of Bordeaux's most famous and busiest squares, instead of heading back to our very nice hotel. Want some actual napping advice when traveling with kids? Read my Kids, Naps and Travel Survival Guide.